If Robert Frost had been hiking in Utah, he’d have taken a path through the mountains. Have you ever wondered who made that path? The mountain trails that crisscross our beautiful mountains look like they evolved naturally. Maybe it started as a game trail, or a Native American pathway. And over time it evolved into the bark lined path of today. What was your first job? Chances are, for better or for worse, it was memorable. Chances are also that it bears very little resemblance to what you do today. Four of my kids are 15 years old this summer. That means, they are excited about starting to drive, and also that they are out getting their first jobs. Nationwide, there has been a steady decrease in the number of teenagers getting summer jobs. There are many factors that contribute to this decline, including a change in the nature of traditional “teenager” jobs, changes in family structures and priorities and even a cultural change. Not in our house. My kids, at least some of them, couldn’t wait to jump into the job market. Being a computer guy, I have watched to see if any of them have an interest in getting involved in computers. In many ways, computers remain the great equalizer. A kid with an interest can learn app development in a summer. My home network is complex enough that one of my kids could learn system or network administration. So far, none have been particularly interested. Perhaps it’s because computers are “Dad’s thing.” Perhaps it’s that computers are a pretty solitary pursuit. There’s a reason that computer geeks have the stereotype of being loners, who don’t play well with others. Maybe, it’s that computers require you to sit inside behind a monitor and keyboard when kids would much rather be outside enjoying the wonderful Utah summers. I think that’s what motivated my third son in deciding his summer job. A couple weeks ago we drove from Pleasant Grove, in Northern Utah, to Monticello, a small town in Southern Utah. 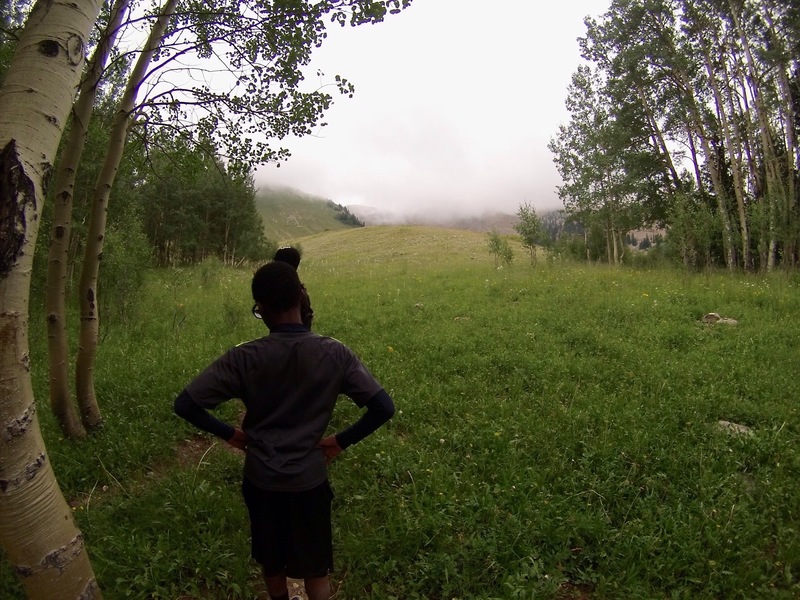 My son had been working for the summer on a Youth Conservation Corps building Frost’s “Road Less Travelled.” It was a six week job that saw him living out of a tent in the middle of the La Sal mountains. Each morning, he’d join his trail crew and carry tools up the side of mountain to build a hiking trail. One morning we decided we were going to beat the other crews up the mountain. We were booking up about 2000 feet in elevation. We beat them by a good half hour. We all got altitude sickness. Couple of the guys were throwing up. We picked him up at the base camp, but went to see his trail before we headed back toward civilization. The trail was accessed by driving down a country highway. Then, we turned off onto a gravel road. Then, we turned off onto a Forest Service road. Then, we forded a stream (in our 15 passenger van) and drove for 20 miles into the mountains. 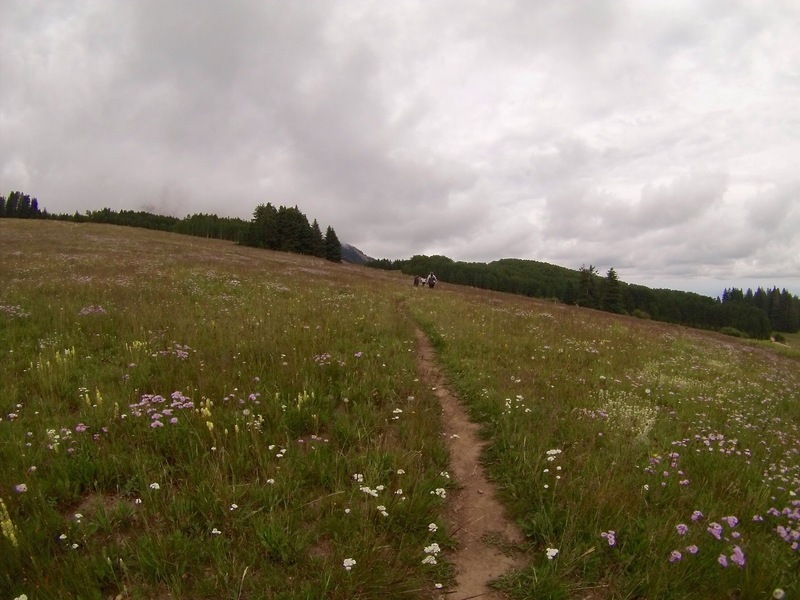 At the end of the road we got out and started walking through a gorgeous mountain meadow of wildflowers. So, did you make this trail? No, this was the forest service. Our trail is still up ahead. About a mile walk through the meadow and aspens brought us to the start of his trail. 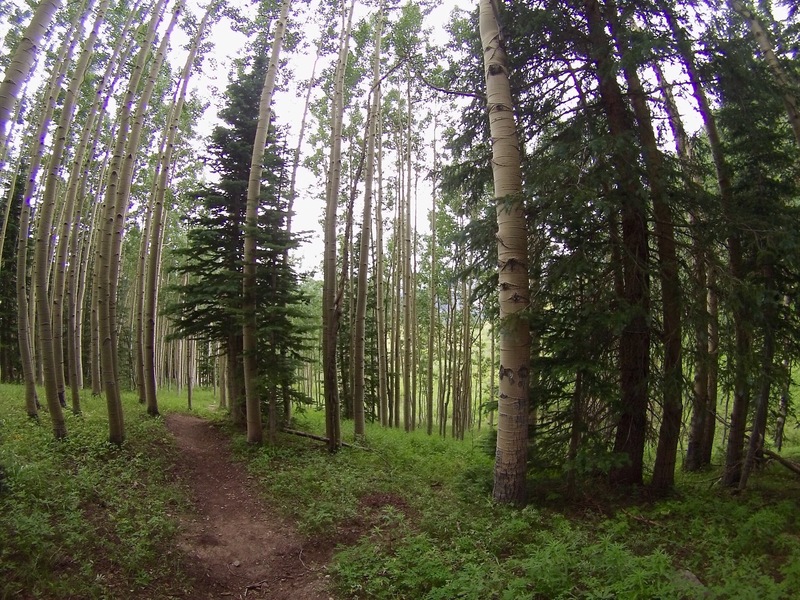 We hiked for another half hour to the edge of the aspens and another mountain meadow. I think we need to start heading back. Ah, I was hoping you guys would want to hike to the summit. And we headed back to the car for the five hour drive home. The next time you find yourself on a lonely track deep in the mountains, realize that many young men and women probably got their first taste of a “real” job working very hard to make that track look so natural.